Jamit (seventh right) with (from fifth to eighth left) Bidah Lujah, Sng, Dr Lee, organisers and the participants. KAPIT: Practising a healthy lifestyle is essential to avoid getting diabetes. 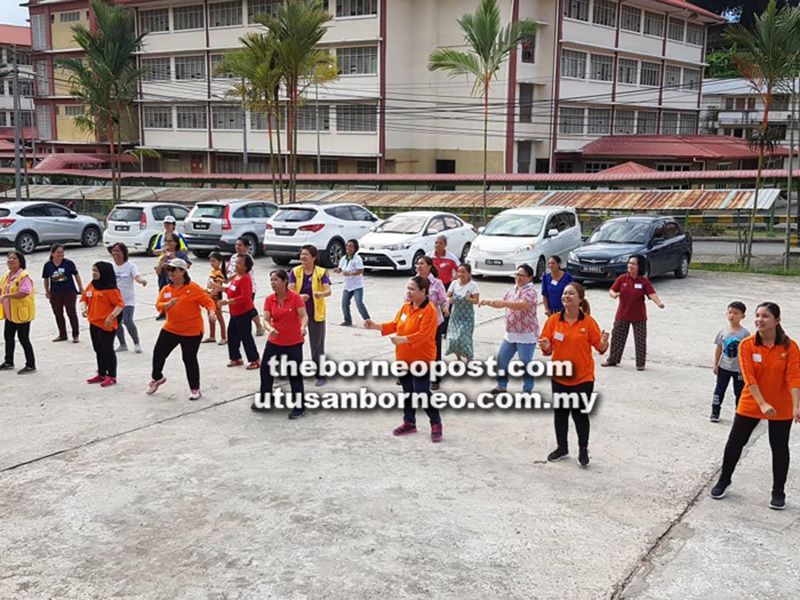 Bukit Goram assemblyman Jefferson Jamit Unyat gave this advice when officiating at the closing ceremony of the one-day ‘Diabetes Camp 2019’ jointly organised by the Lions Club of Kapit and Lighthouse Kapit last Saturday. He warned that many were unaware of the sickness until they went for blood screening at the health clinic. He added that one could control diabetes by stringently adhering to doctor’s advice and taking appropriate medication and most importantly mindful of the types of food they take, in particular glucose and carbohydrate. He also said it is important to have a balanced diet and good eating habit through less consumption of sugar, less intake of salt, taking less fatty food and taking more vegetables and fruits. “I advise that you visit the nearest clinic if you have the following symptoms – always feeling tired, thirsty, loss of appetite, loss of weight, frequent urination, difficulty in breathing even when resting, drowsiness and your wound would not heal,” he added. Reminding that diabetes is the “mother of all sicknesses”, he said in serious cases, diabetes complication could lead to blindness, kidney failure, heart attack and other diseases. 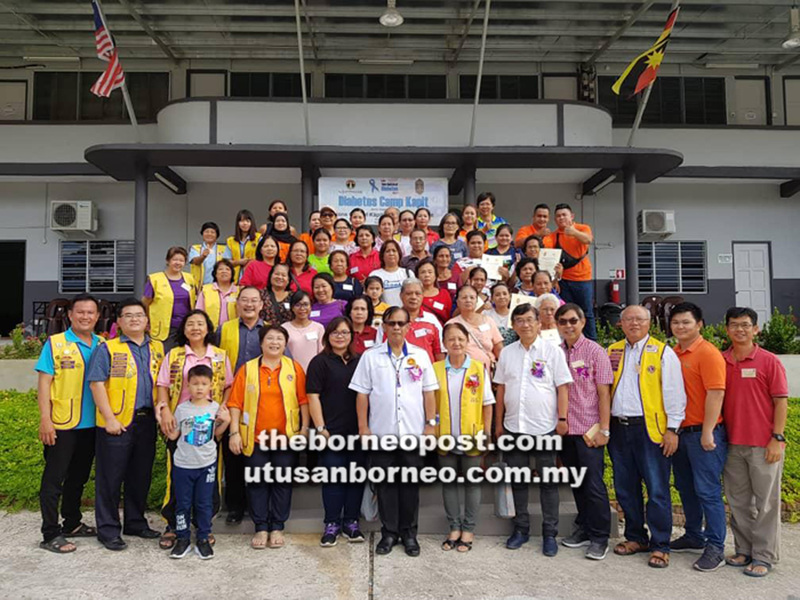 Jamit lauded Lions Club of Kapit and Lighthouse Kapit for organising the meaningful camp to heighten awareness of diabetes and how to prevent the disease. He announced government grant of RM6,000 for the Lions Club to carry out its activities. Meanwhile, co-organiser Dr Sia Tih Kong, talked about Body Mass Index (BMI) to stay healthy and ways to prevent diabetes through controlled food intake and regular exercise. He suggested that those 35 years old and above go for health screening at least once a year. The camp was attended by about 56 participants. Among the various activities carried out were talks on the cause of diabetes, medication, proper diet and nutrition, exercise as well as checks on blood sugar level, blood pressure, glucose level, body mass index and consultation. 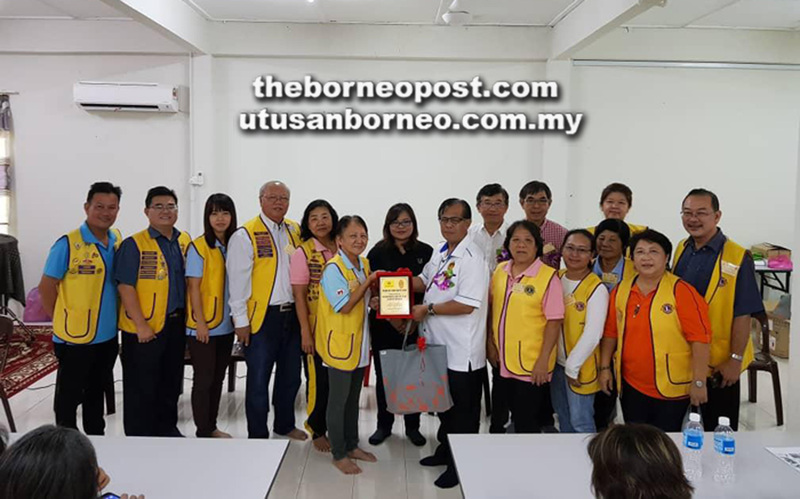 Present were co-organising chairman Dr Lee Chee San from the Lighthouse Kapit, Kapit administrative officer Bidah Lujah, Lions Club of Kapit president Sng Geok Yian and members. Sng presents a memento to Jamit (fourth right) for officiating at the closing ceremony of the diabetes camp. Participants and organisers performing mass aerobic exercise.